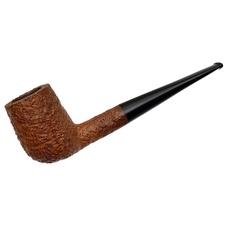 A unique rendition of their "01" Apple, this "4401" from Dunhill fits their iconically rounded bowl on the end of a angular shank and bent stem combination. 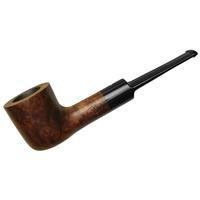 It's a pairing rarely seen from the English marque, making this quite the find from 1984. 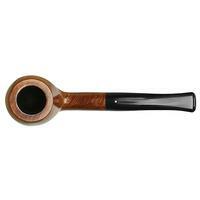 Dressed in the Root Briar finish, this one shows off a stunning array of birdseye along the right flank of the forward canted bowl. 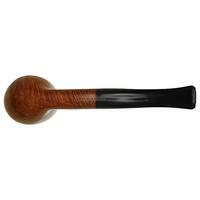 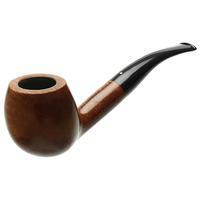 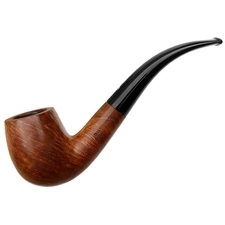 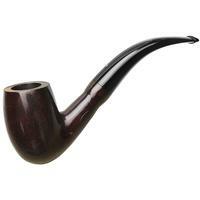 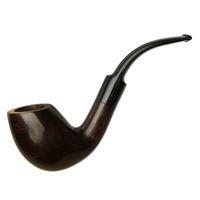 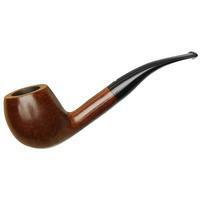 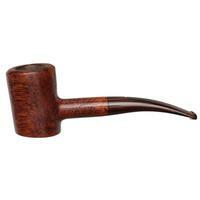 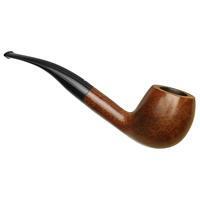 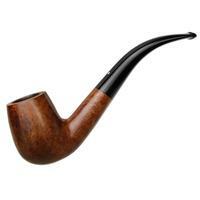 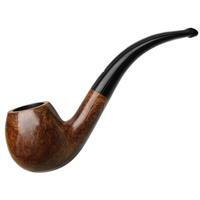 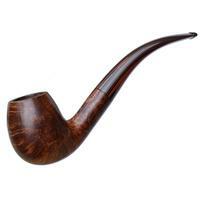 There are some handling marks to consider, but otherwise, this pipe is in very good condition.